In the world of commercial real estate, a dazzling office tower with all high-end imported finishes with an abundance of amenities garner the classification of “Class A”. As opposed to the “Class C” classification which is the basic building with practical finishes in the less desirable location. Throughout the commercial real estate market, the classification are not always set in stone. The boutique building is a stunning option in the commercial and residential market. Currently being built throughout Manhattan are smaller commercial and residential buildings offering stunning finishes rivaling the big office towers. The smaller boutique building offer the tenants limited supply and exclusivity which the larger office towers do not. The intimate and personal service and atmosphere set the boutique building apart from the giant commercial and residential buildings. The recent inpouring of boutique developments and projects are attributed to the easier financing and potential for a great profit. This is not without its own challenges in the market. One drawback to the smaller buildings are the lack of grand cityscape views of New York City. Advantages of office space in Boutique Buildings? With the smaller-scale and high-tech amenities, boutique buildings appeal to the firms for esthetic and efficient features. A smaller floor plate offers firm opportunities for a full floor customized office. The newer buildings are built to feature high ceilings and no columns. The boutique buildings are trendy and stunningly modern. Builders know natural light is vital to a productive work environment. Placing floor-to-ceiling windows is the best way to bring in the maximum amount light. The boutique building makes the most use of it floor plate giving the tenants more office space and less common space. The boutique buildings feel custom-made for the newer financial and technology firms. The firms view the classic larger commercial building as too impersonal and outdated technologically. As opposed with the boutique buildings which have 24-hour heating/cooling, top-notch management, and an abundance of power capacity. The boutique buildings offer amazing residential benefits as well. The privacy offered to tenants is unmatched by limiting the interactions with fellow residents. The building is designed so you can walk right into your building then straight into the elevator opening directly into your apartment. 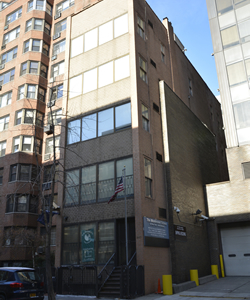 This discreet and elusive building atmosphere attracts a specific type of tenant interested in limiting unwanted interactions and unique spaces. Drawbacks to a Boutique Building The boutique building, as opposed to the 1,000,000 square feet commercial building, cannot offer the equivalent amenities in-building. The boutique building may be beautiful and trendy, but there will be limitations. Lobby attendants, in-building gyms, restaurants, cafes and retail options will not be available in the smaller boutique building. The streamline nature of the boutique building will cut out the luxuries of a larger skyscraper. For someone looking for all amenities under one roof impression, boutique buildings will not be the answer for them. Features of a Boutique Building Boutique buildings are commonly newer smaller buildings at largest 200,000 square feet. 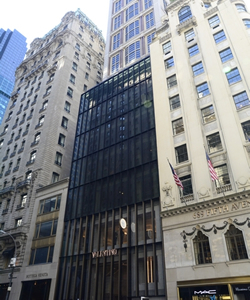 Boutique buildings garner market value per square foot placing them competitive in the market. The buildings foster an exclusive and specialized atmosphere. Many of the boutique building are fashionably designed fitted with modern and high-tech amenities. Although not all boutique buildings are modern, but simply feature many modern condos calling themselves “boutique”. When a boutique building comes to mind, a smaller building with approximately 5 floors and 100 units or less is the common set up. The buildings offer select amenities occasionally a front desk but more often they will not. The lobby is beautifully designed while encouraging the private and personal feel of the building. The highlight and focus of the boutique building is fewer tenants and care for the details. Boutique buildings are a rare opportunity to gain some privacy and solitude in New York City. Boutique buildings are trending as of late because they are smaller and garner above-market rents. The buildings feel new and fresh appealing to firms looking to conduct their business in a different way. They offer a different option without sacrificing aesthetic and design. Would you like your business within one of the many outstanding Boutique Buildings throughout Manhattan? We can help - even if all you have is a question, our assistance comes at no olbigation, call us anytime - we're here to help you the tenant!